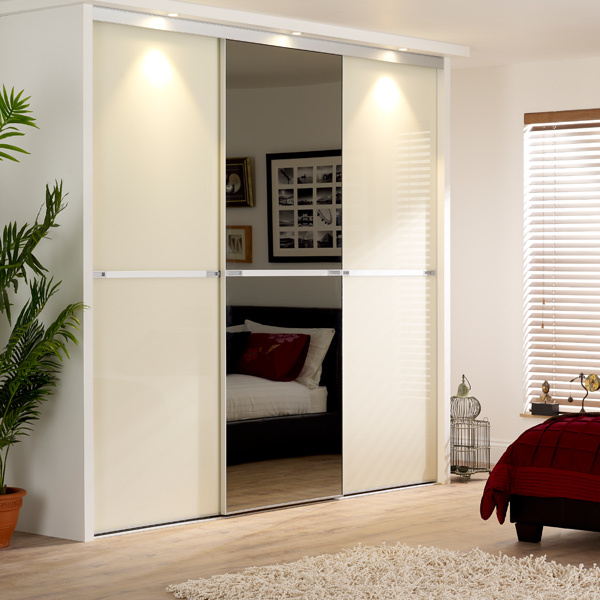 Slide Wardrobes Direct has been working on developing new designs for our DIY sliding wardrobe doors. We have been working with leading glass manufacturers to keep abreast of the latest trends and provide the best products on the market. We are delighted to introduce natural and soothing colours to our glass range to create a peaceful retreat. We have also introduced a range of neutral shades to suit laid back décor and allow pops of colour to be added in other areas of design such as bed linen, pillows and pictures. A neutral palette is perfect when you want to update the look of your bedroom or redecorate for a new season. We’re really excited about our new shades Cashmere, Dakar and Stone Grey. All are a sand blasted effect (satin version) using safety backed glass for practicality and safety. Minimalist is our most popular <sliding glass wardrobe range with understated centre strips to allow the majestic glass boards to take focus. 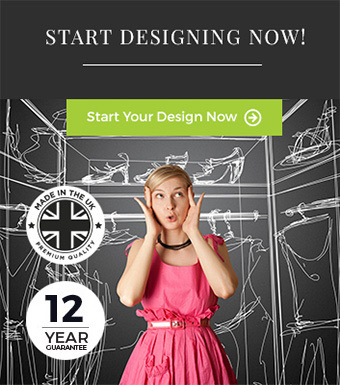 Design your own today using our new online designer tool! Not sure they’re the right shades for your space? Request a sample colour – 4 samples for only £3.00 online.